Imagine this: running in temperatures of 50 Degrees, with the sun burning down on your skin, sand grains in your eyes, your mouth as dry as the desert, your back pack containing your weeks food, extra clothes, medical kit and even your bed – sleeping bag strapped on your back. Your feet are sore as your running shoes start to fall apart from running across all terrains and on one day in particular you are running a double marathon – 90 kilometers. Welcome to one of the toughest foot races in the world – Marathon des Sables – a 250-kilometer race across the Sahara Desert over 6 days. MDS runners will spend each night in open-sided tents on a barren wasteland with not enough to eat and their only possessions being what they can carry. They are dirty, dusty and smelly due to being in the same clothes for 6 days (extra clothes take up too much space) and are permanently covered in dust and desperate for a shower. If you want to run fast at MDS every gram counts so what is in your back pack must be of importance – some people have cut the handles off their toothbrush to save weight and space! Since you’re also carrying your weeks’ worth of food with you, you either run slow, or go hungry. 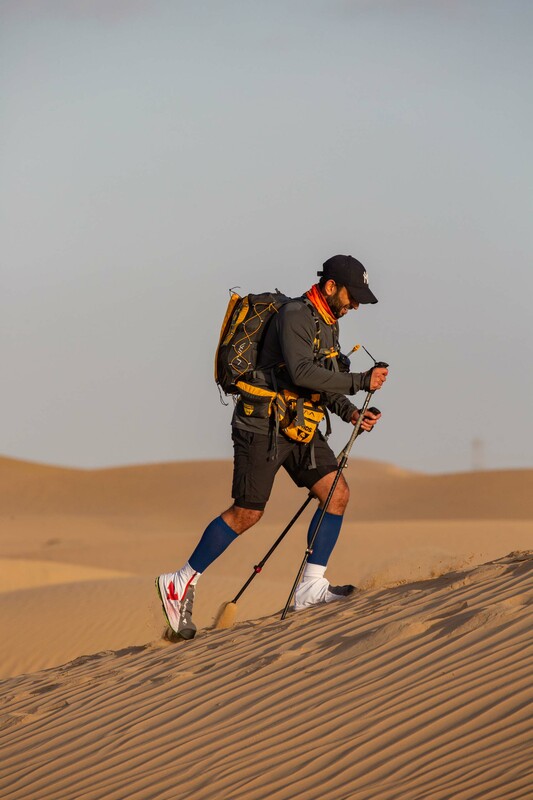 Two Dubai friends Akber Naqvi (Co-founder of The ZB Foundation) and Vikram Jethwani will be running to create awareness for Akber’s personal charity which he is the founder of The ZB Foundation. This is a charity Akber and his wife set up in their late daughter’s name Zahra Beau. The Naqvi’s adopted a new born baby from Pakistan and brought her home to Dubai. But she fell seriously sick spending 17 days in ICU with Doctors bewildered about her diagnosis. Zahra sadly died at 4 months old after every organ in her body stopped functioning. Zahra’s diagnosis was that she had a very rare metabolic disorder which could have been detected at birth if she had received a new born screening test. Pakistan is one of the only countries in the world that didn’t offer this medical service but now Akber and his wife have managed to set up the first and only screening unit in the entire country which provides screening tests FREE of charge for every baby born. Since their first test in Oct 2015 The ZB Foundation has tested nearly 20,000 babies and have started to accumulate accurate baby mortality figures. Pakistan has a birth rate of 4.2 million babies a year – the entire total population of New Zealand! – so the ZB Foundation has a large job on their hands but their ultimate aim is to reach the Pakistani government and make the new born screening test a birth right. Akber’s challenge is not only running Marathon des Sables but to also spread on a global level the importance of screening a child. 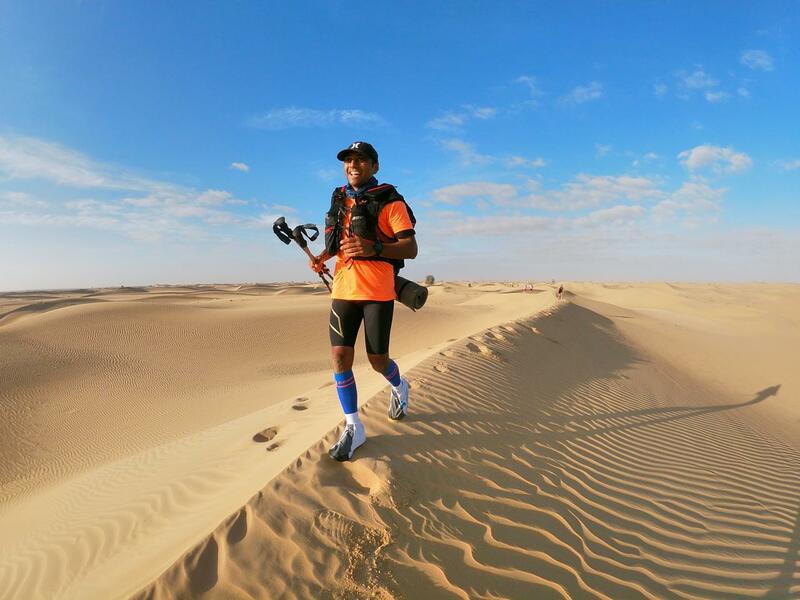 “Since before September 2018 I had never even ran 10km before let alone 250 Km in the Sahara Desert, but this is more of a mental challenge, mind over matter than physical and I know when I put my mind to this, especially for my daughters cause, I have the will power to keep going” comments Akber. The boys trainer Marcus Smith, founder of Inner fight who has already ran MDS and has put the boys on an intense and grueling training regime. The boys have teamed with www.ub-cool.com where you will be able to track the boys every move while in the Sahara Desert. More info to follow. Watch a video from the boys training on cold January morning in the Dubai desert.